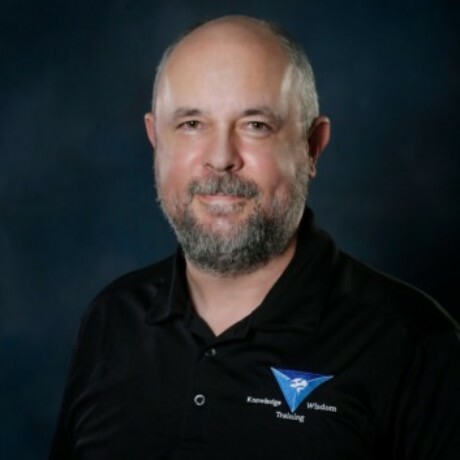 Mr. Padilla spent the first 25 years of his adult life in the US Air Force as a 9S100 Scientific Applications Specialist, the career field nicknamed "The Enlisted Scientists" by the Air Force ISR Agency. Since leaving the Air Force, he has spent most of his time in education as a teacher and a substitute teacher, previously specializing in Physics and the other sciences, and has also worked as a contractor and as a freelance IT consultant for the State of Texas and in various retail operations. To keep his skills sharp, he still does freelance work through Field Nation while teaching by contract and at local community colleges. He has an Associate of Applied Science degree in Scientific Analysis Technology, and a Bachelor of Applied Science in the same. In addition to academic degrees, he holds A+, Network+, Security+, and CySA+ certifications from the Computing Technology Industry Association (CompTIA), and Cisco’s high-demand CCENT certification. He is currently studying to move up to CCNA, as well as to add CompTIA CASP, CTT+, and Linux+. Mr. Padilla spent the first 25 years of his adult life in the US Air Force as a 9S100 Scientific Applications Specialist, the career field nicknamed “The Enlisted Scientists” by the Air Force ISR Agency. Since leaving the Air Force, he has spent most of his time in education as a teacher and a substitute teacher, previously specializing in Physics and the other sciences, and has also worked as a contractor and as a freelance IT consultant for the State of Texas and in various retail operations. To keep his skills sharp, he still does freelance work through Field Nation while teaching by contract and at local community colleges. He has an Associate of Applied Science degree in Scientific Analysis Technology, and a Bachelor of Applied Science in the same. In addition to academic degrees, he holds A+, Network+, Security+, and CySA+ certifications from the Computing Technology Industry Association (CompTIA), and Cisco’s high-demand CCENT certification. He is currently studying to move up to CCNA, as well as to add CompTIA CASP, CTT+, and Linux+.